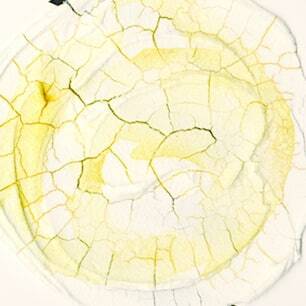 Golden Crackle Paste is a thick and opaque medium that produces deep cracks as it dries. Mix it with acrylic colours prior to application or after, or combine with other Golden gels to seal the Golden Crackle Paste before painting over it. It’s easy to use and highly flexible, the depth of cracks increasing the more you apply and according to the environment in which drying takes place. Q Can you use this on fabric ? The manufacturer advises that this product is highly variable, and therefore it shouldn't be assumed that the product will behave in the same way every time. They recommend using the product on hard surfaces, as it can cause warping on canvas and paper, and this might also be an issue with fabric. The paste is very thick and quite heavy, especially when applied in thick layers, and it might be difficult for fabric to support this, depending on how heavy the fabric is. I would not recommend using it on light fabrics such as silk or mesh. 29th April 2016 Reviewed by Neil Luckett Use for textured acrylic abstracts. 18th February 2016 Reviewed by Joan Short I've only used this product twice but it gives a crackled effect to the paper which is interesting! 18th November 2014 Reviewed by Lynne Timmington This product is perfect for creating a distressed, craggy texture.